Composed by Wolfgang Amadeus Mozart (1756-1791), edited by Franz Giegling. K. 314 (285d). For oboe and piano. 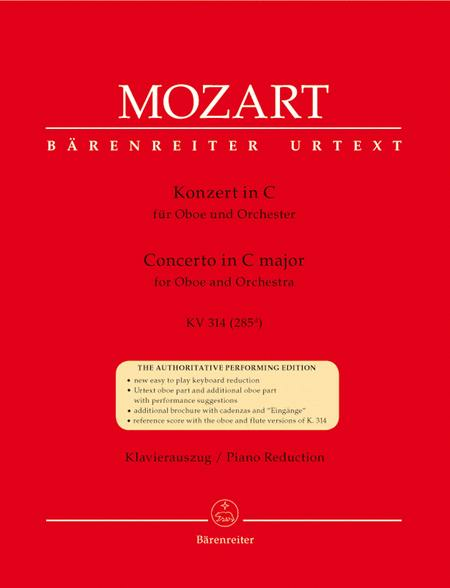 Urtext of the New Mozart Edition. Format: set of performance parts (includes separate pull-out oboe part). With solo part and piano reduction. Classical Period. C Major. 40 pages. 9x12 inches. Duration 23m. Published by Baerenreiter-Ausgaben (German import). Classical Period. 9x12 inches. Duration 23m.